KATHMANDU, May 3: Demanding revocation of the hiked tuition fees, five student unions affiliated to different political parties padlocked the private schools organizations indefinitely across the country on Wednesday. The private schools increased their tuition fees by up to 30 percent and charged up to Rs 200,000 as admission fees for the current academic session that began April 14. Additionally, the private schools have also charged readmission fees in the name of annual fees from students against the Fee Restructuring Directive 2072 BS. There are about 6,000 private (institutional) schools across the country. 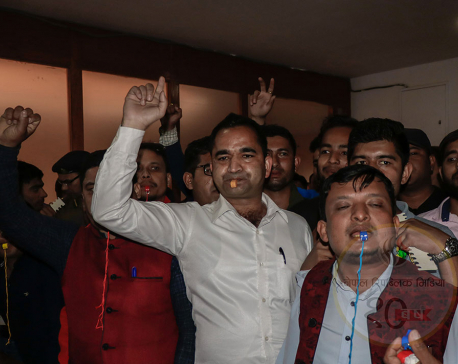 Representatives of CPN-UML's All Nepal National Free Student Union (ANNFSU), Nepali Congress' Nepal Students' Union (NSU), Maoist Center's All Nepal National Independent Student Union-Revolutionary (ANNISU-R), ANNFSU (Sixth) and Nepal Workers and Peasants Party's Nepal Democratic Students Union padlocked all the offices of Private and Boarding Schools Organization Nepal (PABSON) and National Private and Boarding Schools' Association Nepal (NPABSAN) indefinitely throughout the nation on Wednesday. 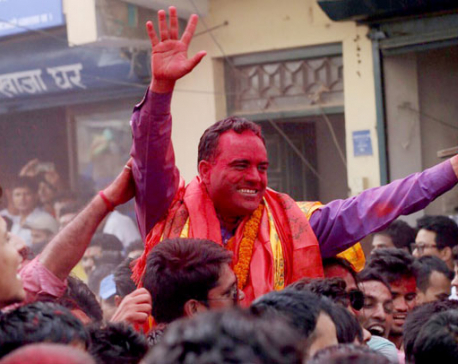 "We padlocked the central offices of PABSON and NABSAN today," said Pushpa Kumar Shahi, vice-president of the NSU. "We also locked the offices of the private schools in districts," he added. As part of the second phase of their protests, the student unions plan to padlock the Department of Education at Sano Thimi, Bhaktapur on Thursday. "We will also lock the education offices in all 753 local bodies tomorrow [Thursday]," said Shahi. The student unions said they will announce third phase of protests on May 5 if their demand for withdrawal of the fee hikes is not addressed. 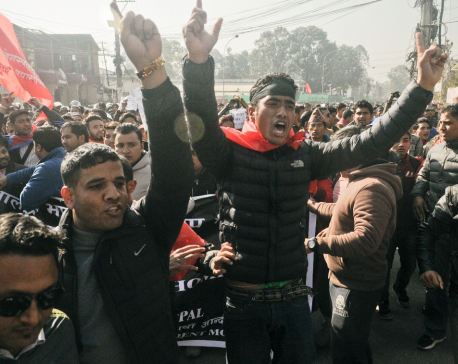 "It will be the third and final stage of our protest, which will be decisive," claimed Shahi. "We are going to announce stringent forms of protests on May 5," he added. KATHMANDU, Sept 2: Student unions have formed a taskforce for holding election of the Free Students' Union (FSU) on time.